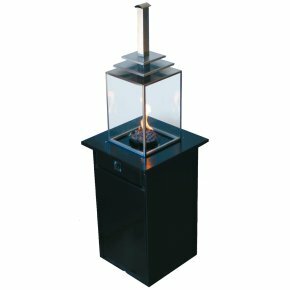 a magnificent light and comfortable heating on your terrace. The modern styling, a black lower part made of stainless steel combined with resistant glass panels create a safe combination of light and heat. Unlike traditional electric lighting, gas-lights produce a much softer light, making gas lighting the perfect way to provide a romantic, elegant feel to any outdoor setting. Makes your terrace an even more pleasant place to be. Lighting time aprox. 60 hours with a 11 kg propane gas container. Price 399,00 € including IVA.